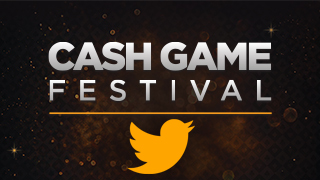 The Cash Game Festival kicked off the new year with a bang with Day 1 of CGF London at Aspers Casino creating positive vibes and tons of poker action. The festival began in the early evening with welcome drinks. 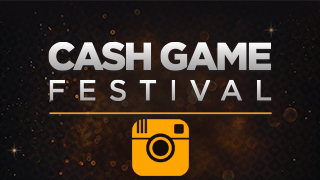 Old friends exchanged stories over champagne and beer while new players were openly welcomed into the evergrowing Cash Game Festival family. Many players couldn’t wait for the festival to start with tables already running in the poker room. Shortly after, Cash Game Festival CEO Kristjan Laas warmed up the atmosphere even more when he grabbed the microphone and welcomed everyone in the poker room. The first televised feature table was a £1/£2 no-limit hold’em affair commentated by Christin Mäemets. Many old faces were at the table including 32Red Poker qualifiers Edgars Armans, Christian Braeuer, and Andrew Roberts. Also in action was Italy’s Andrea DiGiovanni, who won a package during the last Cash Game Festival in Tallinn as part of a promotion run by the festival. However, it wasn’t any of these players that shined the most, although one could argue Edgars did due to his constant chatter and cracking of jokes to lighten the mood for everyone. Instead, it was Hakim Alwi stealing the thunder at the end as he booked the table’s biggest profit of £205 (102.5 big blinds). The stakes moved up during the second feature table to £2/£5 no-limit hold’em featuring mostly local players. Two players from the first table also joining the table including the earlier winner Hakim and Mathias Hautala. 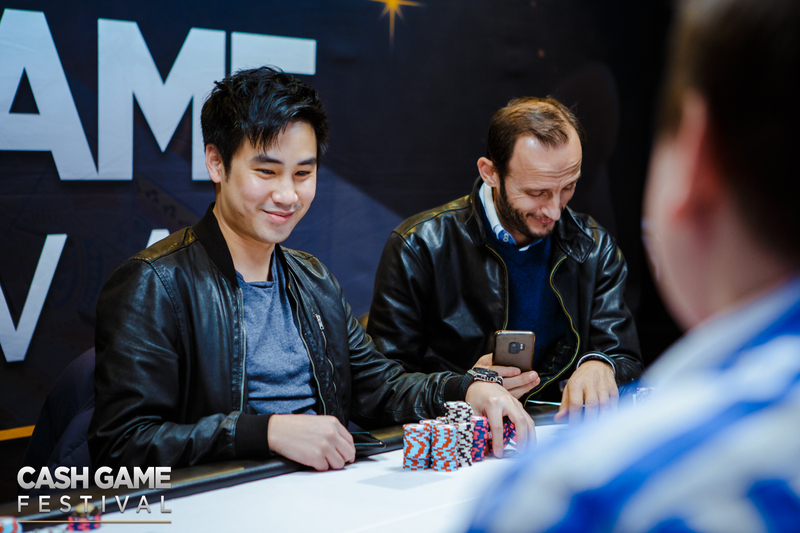 After the final hand was dealt, it was clear who the biggest winner would be with Tim Chung (feature image) shipping a table high of £1,350 (270 big blinds) in profit. 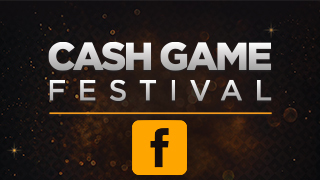 Tim is currently in the lead for the Cash Game Festival London trophy that will be awarded to the player that wins the most big blinds throughout the festival. However, past festivals dictate that 270 big blinds will likely not hold as many of the players competing under the lights and cameras like loosening up their ranges to create action. There was plenty of action away from the feature table as well with 15 tables running at a variety of stakes in no-limit hold’em, pot-limit Omaha, and, of course, Sviten Special, which has become a staple game at every Cash Game Festival. The action on and away from the tables is expected to be even bigger on Thursday’s Day 2. Many tables ran through the night and into the morning with the poker room providing around the clock action. Players with the hospitality package will be treated to a scrumptious “dinner” at 3 p.m. at the Cabana Brazil. The feature tables will provide tons of variety for the fans with a recreational £1/£2 game scheduled at 6 p.m. followed by a high-octane £5/£10 no-limit hold’em battle at 9 p.m.